It must be fall, because I have an overwhelming craving for apples. All summer long we feast on berries and as soon as September arrives apples take over my heart. Perhaps I associate back to school with apples – I always include apples in my daughters’ lunches. Maybe it’s a subconscious knowledge that the apple trees are almost ready to be picked. One of our favourite fall family activities is heading to the apple orchard, picking apples and then heading home to make all the apple recipes…all…the…apple…recipes! We’ve made deliciously silly apple turnover mummies and simple apple galette. One of my all time favourite apple dishes is homemade applesauce. It is so much more flavourful than store bought, seriously. Making applesauce always reminds me of when my kids were babies. 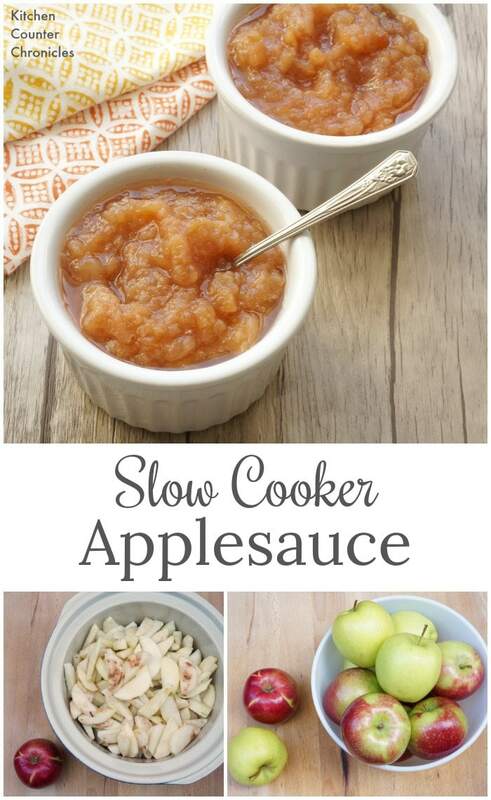 Homemade applesauce was one of the very first foods they ever ate. 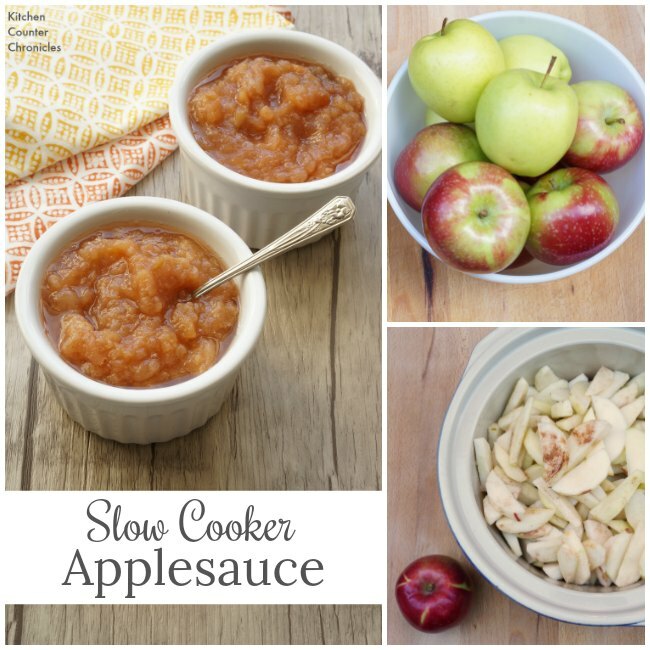 At the time, I would make my apple sauce in a pot on the stovetop. 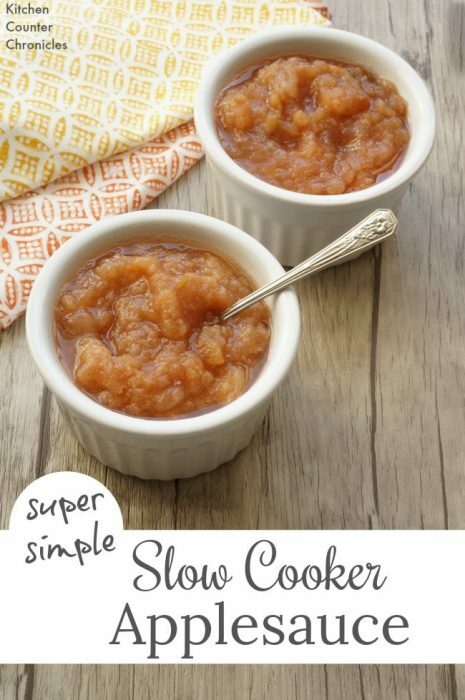 It wasn’t until years later that I discovered the awesomeness of using a slow cooker to make applesauce. 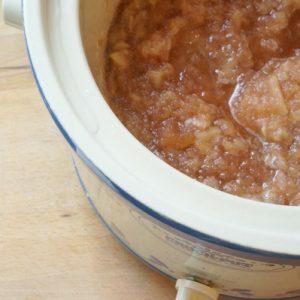 Using the slow cooker means that I can make a giant batch of applesauce and I don’t have to worry about burning it (that might have happened in the past). Plus, you can’t beat the “fill it and leave it” ease of cooking with a slow cooker. Here’s our super simple recipe. Peel and slice the apples. I skip using an apple corer and simply use my knife to cut as close to the core as I can. Then cut thin slices. My daughter helped with the slicing – apples are easy to cut. 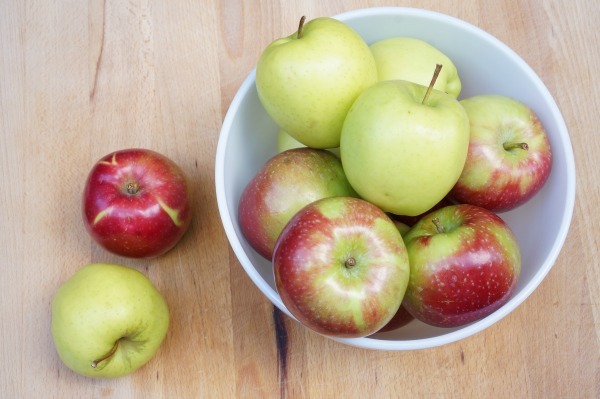 Place the apple slices in a large bowl and toss them with a good squeeze of lemon juice to stop them from browning. Toss the apples with sugar, cinnamon. Pour into the slow cooker and add in 1/4 cup of water. Cook the apples for 6-8 hours on low, or 4-6 hours on high. 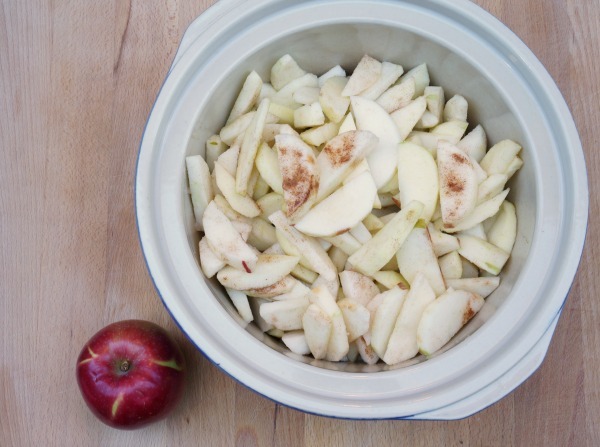 Open the lid of the slow cooker and give the apples a good stir with a large spoon. 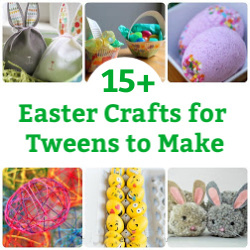 You can leave them a little chunky (which is how we like it) or you can use a potato masher, or emersion blender, to make a smoother sauce – it’s totally up to you. Now, what to do with all that the applesauce? 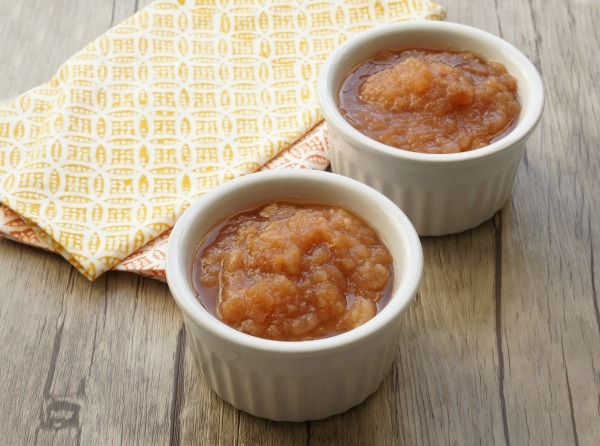 This applesauce makes a delectable topping for vanilla ice cream – like, totally delectable. 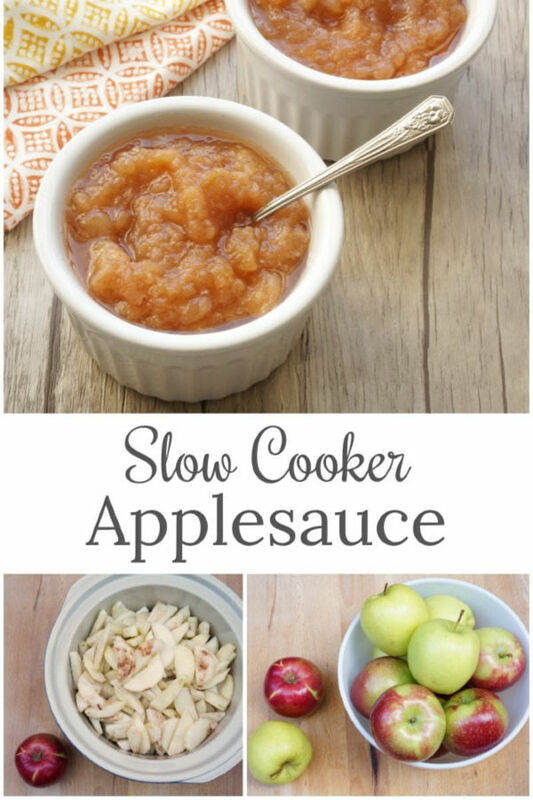 Serve the applesauce along side roasted pork. Or, sneak a big spoonful for yourself in the middle of the night…straight out of the bowl in the fridge. It is so stinking good. How awesome is apple sauce?! 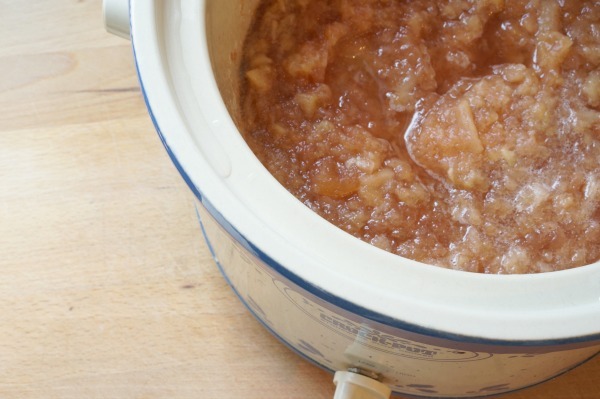 Make a big batch of apple sauce in the slow cooker and share it with everyone. Peel and slice apples. 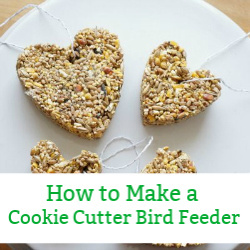 You can use an apple corer or skip and use a knife to cut as close to the core as you can. Cut thin slices. Open the lid of the slow cooker and stir with a large spoon. Either leave the sauce a little chunky or use a potato masher, or emersion blender, to make a smoother sauce. Looking for other slow cooker recipes? 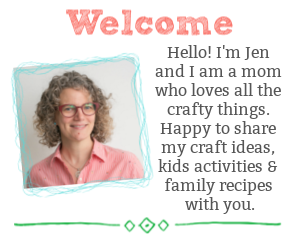 Today’s post is part of the awesome Slow Cooker Blog Hop being hosted on A Pretty Life in the Suburbs. 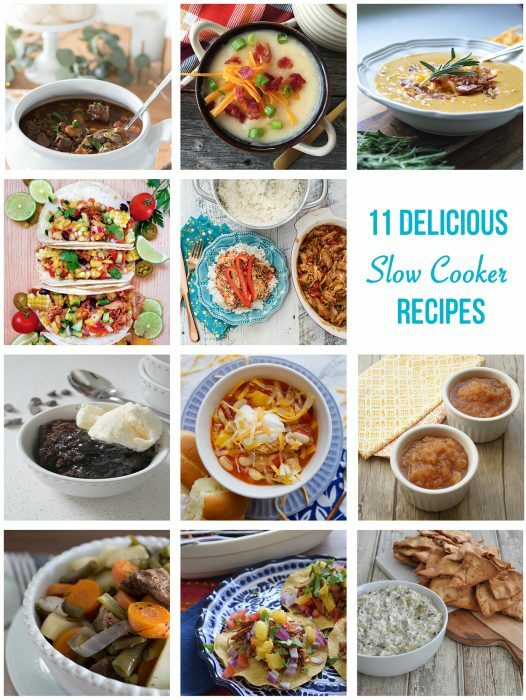 Dust off your crock pot and get a head start on your fall meal planning with all of these wonderful slow cooker recipes. I never thought to make apple sauce in the slow cooker, and it’s such a great idea! I have a whole bucket full of apples that I didn’t know how to use up, but now I do! Yum!